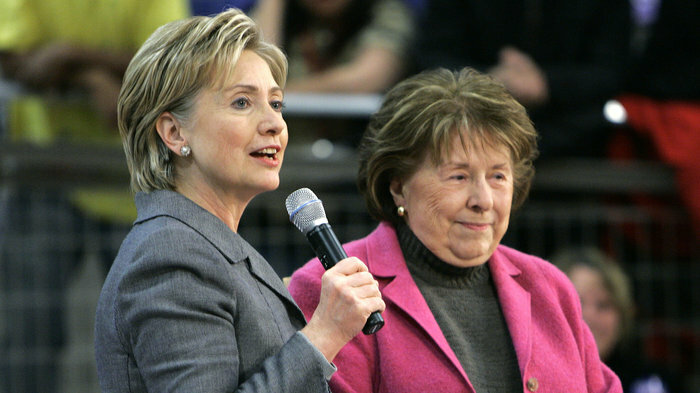 A story that stuck with me after hearing Hillary Clinton speak at the Democratic Convention during her election campaign was that of her mother, who survived abuse and abandonment from her own family. Clinton shared her mother’s amazing reply when she asked her how she emerged from a lonely early life as a loving and levelheaded woman? It’s been over a year since I heard that speech, and since then we have seen and observed all kinds of chaos in the world. But that line was deep, as it made me think that no matter how harsh the world is at times, it gifts us with moments of sweetness which enables people to fight and overcome hardships and difficulties. Kindness comes in many ways to us, sometimes we receive it from people we know and sometimes unknown. Kindness drives people to do or say something nice without any malicious thought or intent. It is one of the core qualities a child is taught when he or she is growing up irrespective of religion or ethnicity. It’s the emotion that can feed a hungry child or give a home to an abandoned child because someone decided to be kind. A story of kindness that always reminds me that life can be hard, but also sweet starts with my volunteering days at the Hope Lodge in Atlanta in the fall of 2009. The lodge was built by the American Cancer Society based on donations from Emory University and other private and organizational contributors. It functioned as an affordable housing option for out-of-town cancer patients undergoing treatment in Atlanta. When I started volunteering at the lodge, I expected it would be a hospital-like environment. However, what I saw and experienced was totally different, as the lodge was filled with noises of laughter, music and smell of homemade dinners in the evenings. The lobby and the dinner table was the center of all interactions, where the evening chatter would happen. Discussions of treatments, jokes, a game of bingo or chess would all happen there. Often times I would get to know a patient well and would hear about their sufferings with the disease and its painful consequences on themselves and their families. However, none of that seemed to stop them from giving a smile and lending a hand to help. The energy of the place was contagious, and I would find myself cheering up after a long day of work when I went there. I often wondered how such a place could provide such a healthy supportive environment. It didn’t take me long to figure out that this environment was created by the people who were there, and that included the community of patients, family members, staff and volunteers who chose to be kind. Their kindness made the hardship of going through harsh treatments or caring for a loved one easy and bearable. A few years later, my father was diagnosed with cancer. During his battle, I came to experience the same level of kindness that I saw at the Hope Lodge from the community of friends and family around us. People cooked for us, they were with us for hospital visits and waited with us during surgeries. They made the whole experience for our family bearable and gave us the strength to move forward and still live a life. Today I consider myself fortunate to have had the opportunity to experience such kindness from the larger community during the times I needed it the most. Their kindness has made me humble, compassionate, strong and grateful. In the new world of Facebook and social media, where happiness is displayed with beautiful pictures of life such as vacations, parties etc, it becomes easy to choose to associate with the happiness and try to not look at the rest of the world that need help and our compassion. However, it is upon us to remember that there is more to this world and its people and be conscious about our role in society. If we can use this consciousness to be kind, giving and compassionate to the greater world and be of service to others, then perhaps someday we can see the fruits of our kindness be the driver of happiness, hope, strength and normalcy for a child similar to Clinton’s mother or the cancer patients I encountered at the Hope Lodge.